By the time divorce becomes an imminent possibility in a marriage, typically, one spouse has spent a good deal of time thinking it. And, in some cases, that spouse may have taken affirmative steps to do something in preparation for his/her post-divorce life. 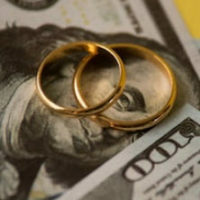 One thing many spouses do is to drain jointly-held financial accounts. In some cases, this is to support a motivation for the divorce – supporting another intimate partner as part of an affair. However, beyond infidelity, some spouses just feel they have a stronger claim to the money in the joint account, perhaps because they were the primary breadwinner. If this occurs, it is best to retain the services of an experienced divorce attorney to ensure that the assets of the marriage are divided in an equitable fashion, as is required by Florida law. Earlier this year, USA Today published an article summarizing ways in which a divorcing spouse can maintain fiscal sanity while undergoing this life-changing event. One of the pointers was to close all jointly-held financial accounts in favor of opening separate accounts. A discussion of how assets are distributed in divorce, as well as the strategies and possible pitfalls of accessing jointly-held financial accounts while contemplating, or undergoing, divorce will follow below. In a joint financial account, each account holder has the ability to control all the money in the joint account, which means that, for married couples, either spouse can clean out the entire account without permission or notice. Nevertheless, although a spouse can legally drain a joint account before a dissolution petition is filed, a court is likely to look at such action unfavorably. In some cases, after a determination of distribution of assets, a court can order the draining spouse to repay the other spouse’s share, along with interest. However, a more prudent cause of action, for spouses who feel there is a strong likelihood that the other spouse may drain a jointly-held financial account, is to withdraw only half of the account and transfer that amount to a separate bank account. Evidence should be provided that only half of the money was, in fact, transferred. Further, the money now in the separate account should only be used for living expenses. In such a case, most likely, the court will look on this spouse more favorably. If you are contemplating divorce, it is important to think about your conduct in the judge’s eyes, but it is equally important to protect your share of any marital assets, including money in a joint financial account. If you have questions as to how to proceed concerning joint accounts, talk to the experienced attorneys at Donna Hung Law Group. We understand the complexities of these types of issues, and will work to find the best solution for you. 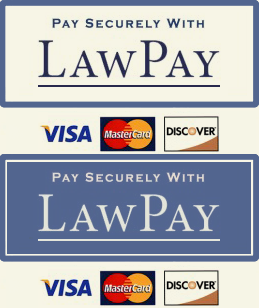 Contact the Orlando law firm at (407) 999-0099 for a consultation.